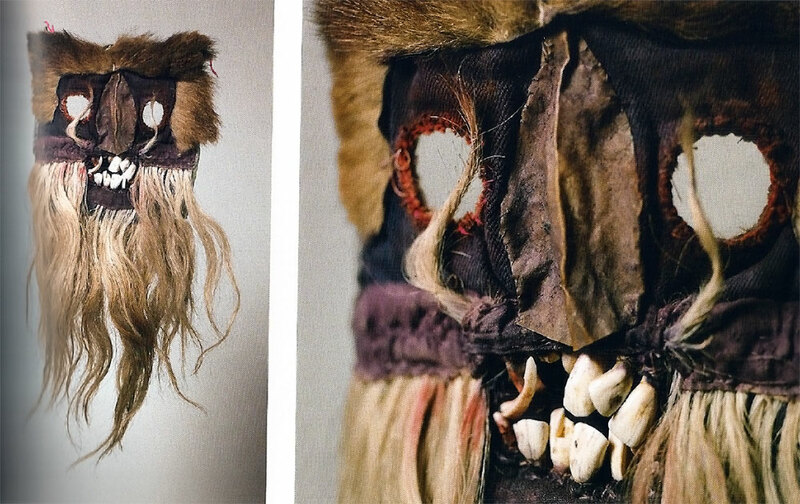 Wooden mask, carved by a shaman in Nepal. The original caption says it verges on abstraction, but it also verges on bloody terrifying. 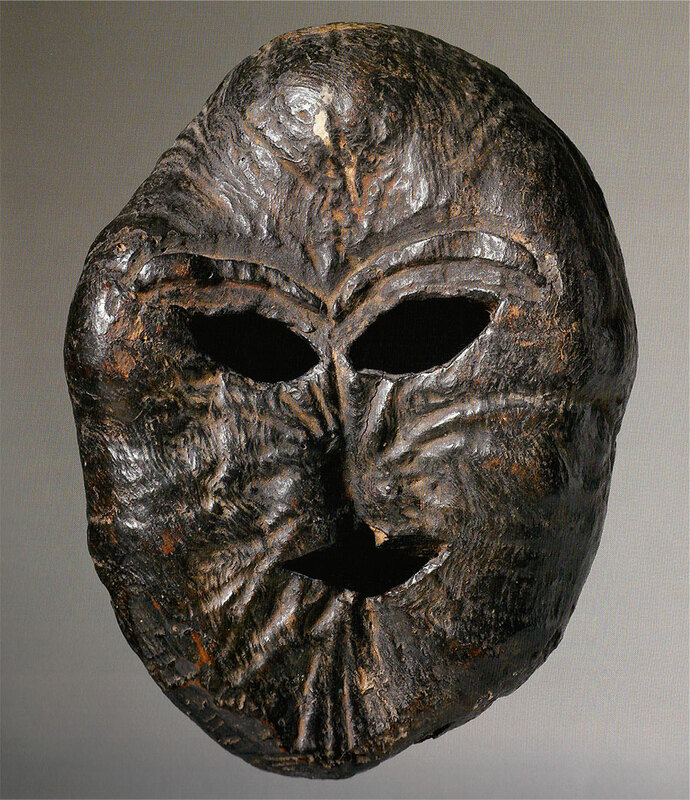 Wooden mask from Java, 19th century. 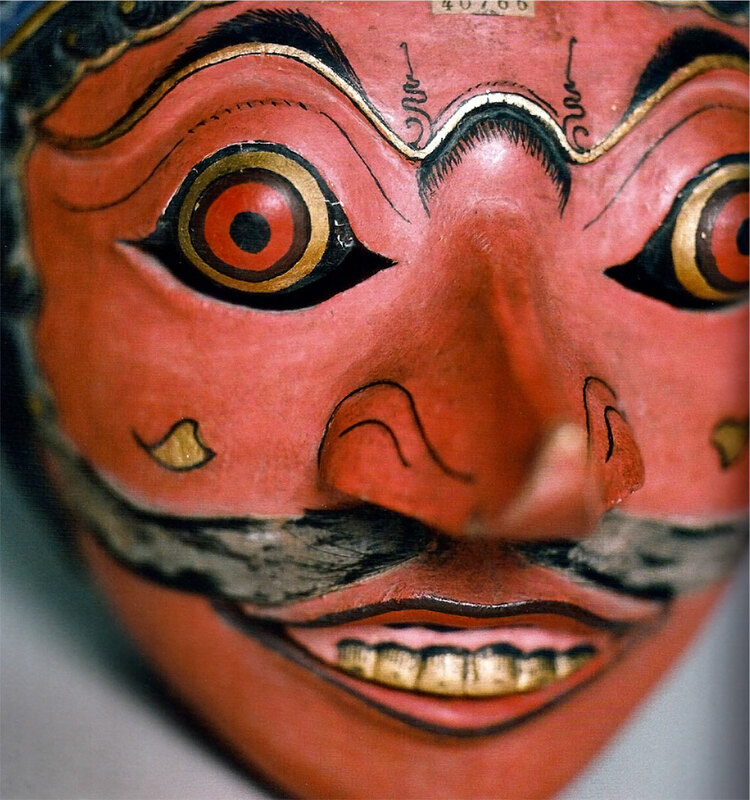 This fellow is probably Klana Sewandana, the hero’s rival in wayang topeng plays. O hai, it’s only me, the Devil’s son. Just carry on. I’m made of cloth, goat hair and somebody’s teeth. I come from Mexico. 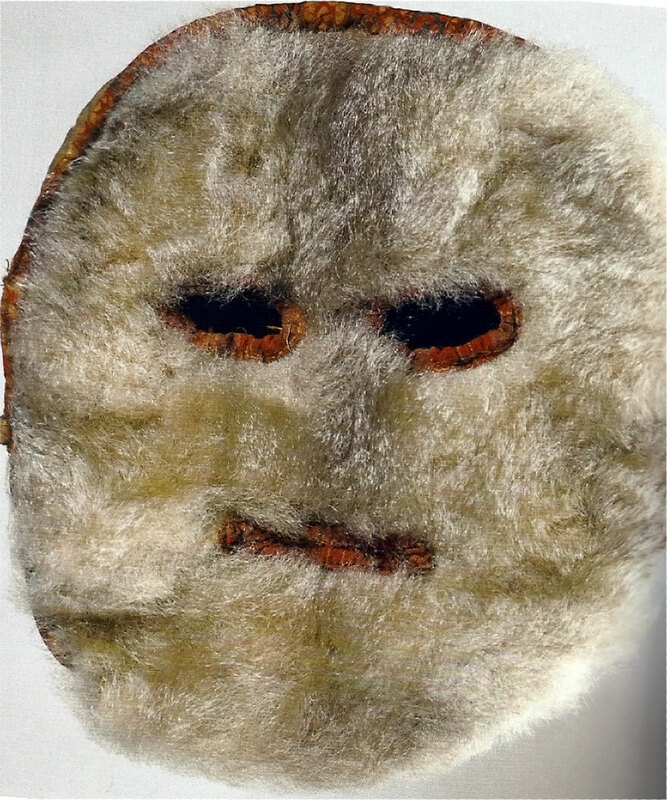 Ammassalimiut (Greenland) fur mask for a child, associated with Christian Epiphany celebrations. Because nothing says “Jesus” more than hideous slit mouths and inky black eyes, obviously. 1920s-1930s.